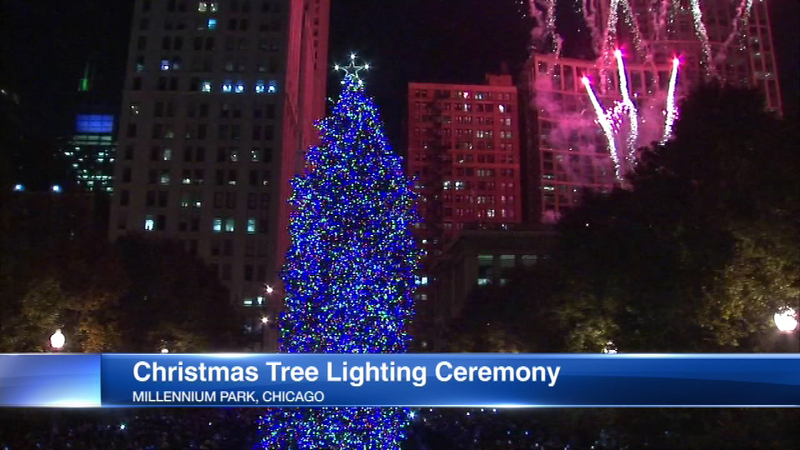 CHICAGO (WLS) -- Chicago's official Christmas tree is sparkling in its new home in Millennium Park. The lights were turned on and fireworks followed Tuesday evening. The tree is on Michigan Avenue between Randolph and Washington, just north of "The Bean."